Season of bloom: Late June into summer. Growing Conditions: Part day sun or light shade. Very adaptable to almost any non-waterlogged soil. Wildlife benefits: Good for many pollinators; visited by hummingbirds and hummingbird clearwing moths..
From Ottawa Valley or eastern Ontario sources: No. Occurs in the wild in the Ottawa Valley but our seed was originally from southern Ontario. Remarks: “Foxglove” in the common name and species name “digitalis” are descriptive. This plant is NOT related to the poisonous foxgloves of Europe. 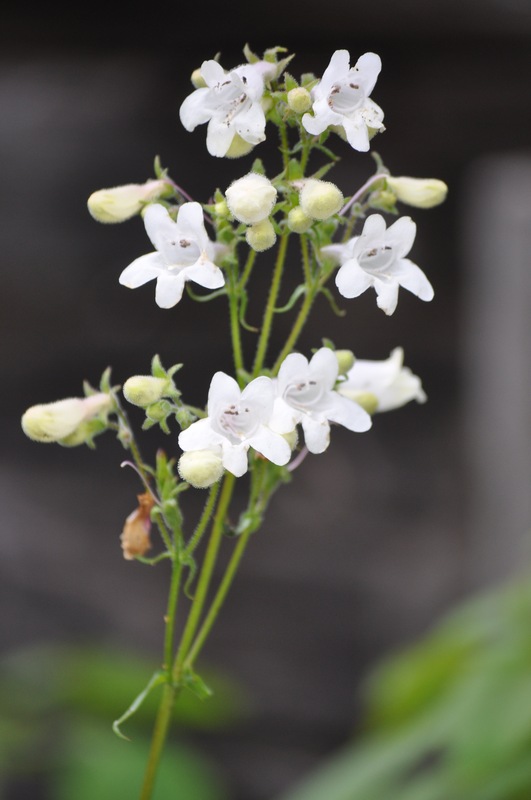 Similar species: Foxglove Beardtongue — red-leaved garden form.